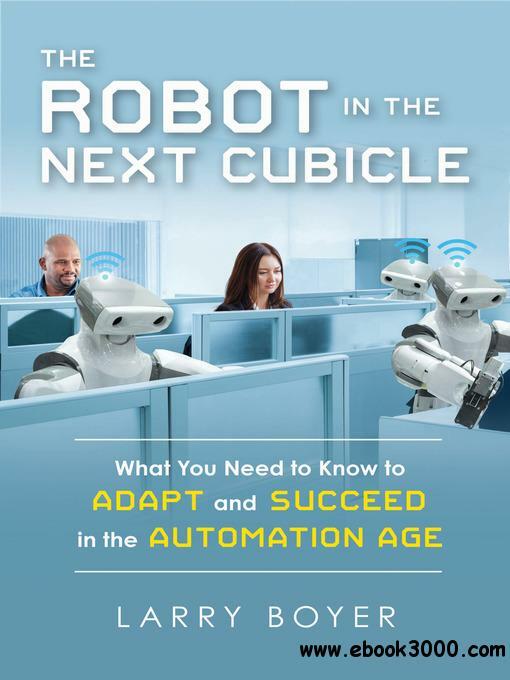 This optimistic and useful look at the coming convergence of automation, robotics, and artificial intelligence, shows how we can take advantage of this revolution in the workplace, crafting "robot-proof jobs" and not fearing "the robocalypse." It's called the Fourth Industrial Revolution-a revolution fueled by analytics and technology-that consists of data-driven smart products, services, entertainment, and new jobs. Economist and data scientist Larry Boyer lays out the wealth of exciting possibilities this revolution brings as well as the serious concerns about its disruptive impact on the lives of average Americans. Most important, he shows readers how to navigate this sea of change, pointing to strategies that will give businesses and individuals the best chance to succeed and providing a roadmap to thriving in this new economy. Boyer describes how future workers may have to think of themselves as entrepreneurs, marketing their special talents as valuable skills that machines cannot do. This will be especially important in the coming employment climate, when full-time jobs are likely to decrease and industries move toward contract-based employment. He provides guidelines for identifying your individual talents and pursuing the training that will make you stand out. He also shows you how to promote your personal brand to give more exposure to your unique skills. Whether we like it or not, automation will soon transform the work place and employment prospects. This book will show you how to look for and take advantage of the opportunities that this revolution presents.